The Fed lifted the U.S. Prime Rate from 3.25% to 3.5% at the end of last year. While the U.S. economy is still not as healthy as it should be this far into the post-Great-Recession recovery, the Federal Reserve may still opt to raise short-term rates again as soon as the December 14, 2106 FOMC monetary policy meeting. And when the Fed demonstrates confidence in the U.S. economy, big banks tend to respond by making their loan products more attractive. American banks are more profitable when the short-term interest rates controlled by the Federal Reserve rise. 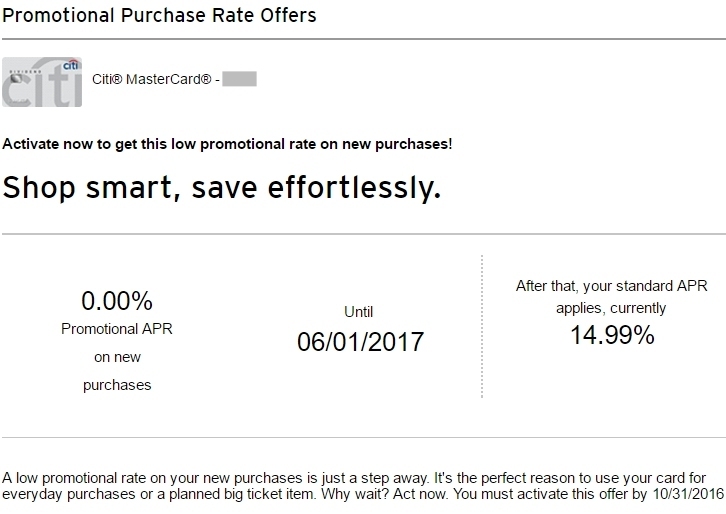 In the credit-card zone, I'm seeing the return of some very consumer-friendly promotions, including extended zero percent introductory APR offers, on both balance transfers and new purchases, and balance transfer offers that don't charge balance transfer fee. I'm old, and I'm a very responsible borrower, so I always expect the banks and credit unions with which I have an established relationship to offer me nothing but the best. According to Equifax®, my FICO® credit score is 814 out of a possible 900. A brief, FICO credit-score history is a new feature I noticed when I logged into my Citi® credit card account today. 0% APR on all new purchases until June 1, 2017. 5% cash back on purchases I make at department stores (Macy’s, Bloomingdale’s, Dillard’s, Kohl’s, Saks Fifth Avenue, etc.) and includes the electronics retailer Best Buy, which suits my geeky lifestyle just fine. This particular promo lasts from October 1 through December 31, 2016. And last, but certainly not least, I am currently getting 5% cash back on all online purchases I make with my card, until November 30, 2016. I understand the timing with the above incentives, with the holiday shopping season in the offing, but I won't be doing much spending. I'm not rich, and I never spend for the sake of spending. 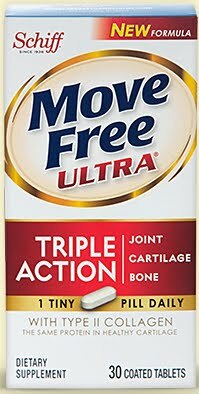 But I did use my Citi card to purchase some Move Free® ULTRA Triple Action Joint / Cartilage / Bone supplements, which the CVS.com website had discounted at buy one, get one free. I'm an avid quad skater, and my knees have been complaining so much lately that I had to find a solution. Move Free ULTRA has lots of very positive reviews online. I like to use my Citi card every once in a while, just to let the folks and computers at Citi know that I'm interested in keeping the card alive. The card offers the kind of value I appreciate, so I don't want some algorithm and/or employee to close my card due to inactivity.